Having a green home is not only good for the environment but it is also good for your wallet and can save you money. When you reach retirement every penny counts, so it is worth making your home as green as possible and if possible making these changes before you reach retirement age. Saving energy doesn’t mean you have to sit still all day being anxious of your carbon footprint but it should be at the back of your mind. Surprisingly those over 50 normally have high carbon footprints because of their dependency on cars and energy bills. You should not sacrifice your car if you need it, but you could think about taking the bus once in a while and walking where you can. Being energy efficient in your home doesn’t mean you have to sit there with five layers of clothing on, it just means you should be more savvy about how the heat is distributed in your home. Small things such as not leaving doors open can contribute to big changes. Also use a timer for the heating so that if you go on holiday or are out of the property for a long time you will not be wasting heating.Using energy efficient light bulbs might be more expensive initially, but they will last longer and save you money in the long-run. Loft insulation is essential for anyone facing retirement as it will keep the heat in your home and reduce your electricity bills. Loft conversions can reduce your winter fuel bills by up to 20%. This means big savings in winter fuel bills, as well as reducing greenhouse gas emissions. Cavity wall insulation is also a good way to keep your property warm. If you are unsure whether you can afford to insulate your home you should speak to your local council about applying for a grant. Grants are normally available for those over 50 who want to insulate their home. 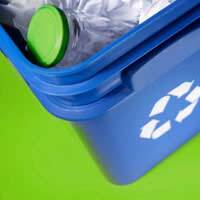 Recycling is one of the easiest things to do in your home, but one that can make a huge difference. Almost two-thirds of all household waste is recyclable. Most local councils will operate a recycling service, but if there is not an adequate one in your area you can always arrange your recycling accordingly and dispose of it at the tip, or use the recycling bins at your supermarket. It’s not just your packaging that you can recycle, saving leftover food can make for an ideal compost bin which can help stimulate a lovely green garden. If you don’t have a garden of your own it might be worthwhile looking into whether you can find an allotment nearby. This is a great way to grow your own fruit and vegetables and will also help you fill the hours if you find yourself at a loose end. Now that you have more time on your hands, why not use that time to go and explore your local area. Farms and food markets are great places to pick up home grown food for you to eat at home. It is also possible to take your own shopping bags which saves on more packaging. You'll also get to know some of the local traders better and could land yourself the occasional discount into the bargain! This is quite an expensive way to save energy in your home. Solar panels are yet to really take off in the UK, but if you have money to invest and are serious about keeping a greener home, you may want to enquire as to whether you can install solar panels on your roof. The benefits of solar panels can take a while to kick in though and you are not guaranteed to see a return on the money you paid to install them. Keeping a green home in retirement doesn’t have to mean cutting down on things you enjoy. If anything, a greener home goes hand in hand with a more satisfied and fulfilled lifestyle and you’ll be doing your bit to help the environment.